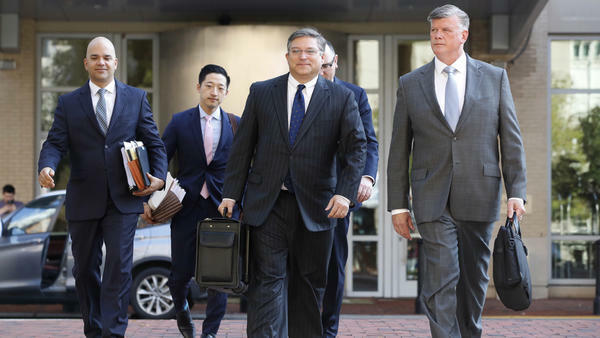 The defense team for Paul Manafort, including Kevin Downing, right, and Jay Nanavati, far left, walks into federal court on Thursday. After prosecutors rest, as they're expected to do Friday, the defense will have a chance to call witnesses and make their case. Prosecutors are expected to rest their case on Friday in Paul Manafort's bank and tax fraud trial after two weeks of granular testimony from accountants, bookkeepers, luxury vendors and Manafort's former business partner. Manafort, who served as Donald Trump's campaign chairman in 2016, made his fortune through political consulting overseas. Prosecutors say he evaded taxes on millions of dollars by hiding it in shell companies and bank accounts based mainly in Cyprus. They also allege that after Manafort's income dried up — his most important political client in Ukraine was ousted from power — Manafort lied to banks in order to qualify for loans to sustain his luxurious lifestyle. Prosecutors are expected to call four or five witnesses on Friday, then it will be the defense's turn to make its case. It's unclear how many witnesses Manafort's team intends to call, but the trial still seems on track to conclude next week. Manafort has pleaded not guilty and his defense attorneys have blamed any financial wrongdoing in the case on his former partner, Rick Gates, who has pleaded guilty to related charges as part of an agreement with the Justice Department. Gates may have been the prosecution's most exciting witness — acknowledging embezzlement and at least one extramarital affair — but he was only one of many who have appeared in the trial. Gates testified early in the week for parts of three days, but the rest of the trial has been consumed by accountants and bankers who worked on Manafort's taxes and processed his bank loan applications, as well as vendors who sold him numerous high-priced items like luxury cars and custom suits. 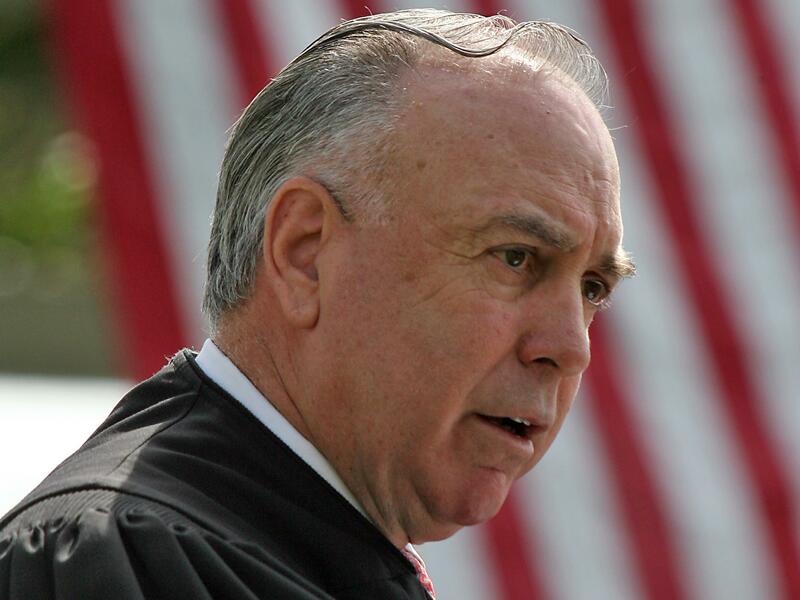 Judge T.S. Ellis has had a massive effect on the quick pace of Manafort's trial, but he's had an even larger impact on the tone of the courtroom. He has admonished prosecutors almost daily. Last week, he took them to task because he said they were sowing resentment in the jury for Manafort's wealth. The judge growled at them this week to "get to the heart of the matter." On Thursday, however, Ellis offered something different: an apology — or close to it.